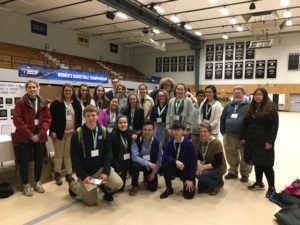 John Bapst students traveled to the Maine State Science Fair held at Bowdoin College over the weekend with 19 projects. 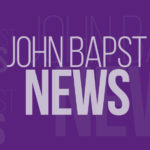 John Bapst had the highest participation rate to date. Over 300 students from across Maine participated in the event. 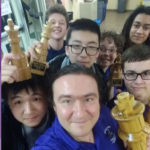 Brandon Aponte, Tia Chen, Katherine Dalton, Sarah Dorey, Justin Duong, Logan Eckman, Maddie Faulkner, Andrea Grossman Matthew Hafener, Jerry Huang, Grace Kirkpatrick, Nadija Mamula, Jennifer Noyes, Alia Parsons, Jaelin Roberts, Ethan Sailor, Soleil Skehan, Trey Stimpel, Adelaide Valley.